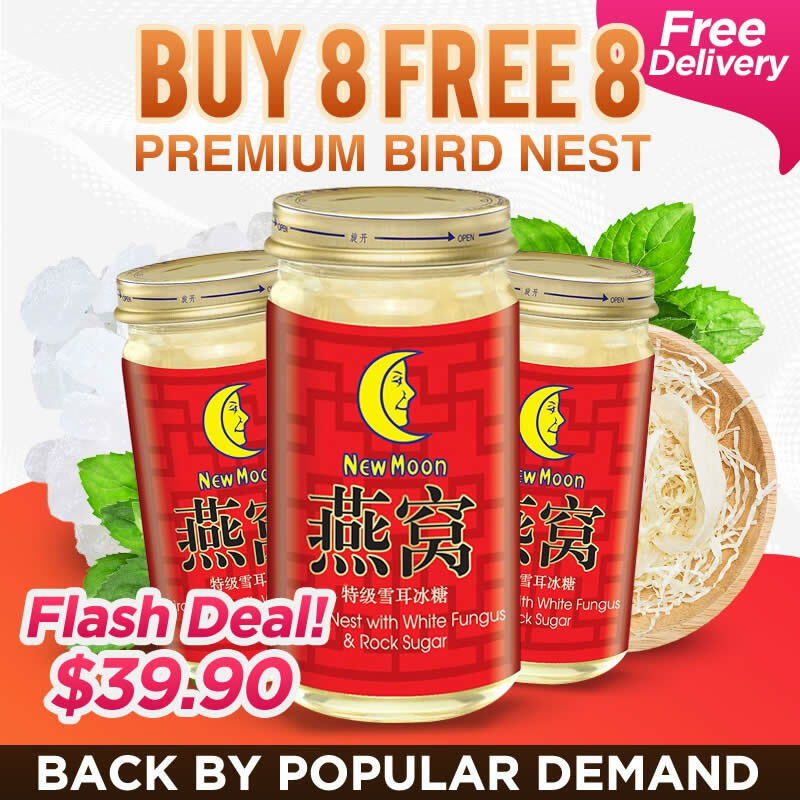 BUY 8 FREE 8 – NEW MOON Bird’s Nest with White Fungus Rock Sugar 8 x 150ml! 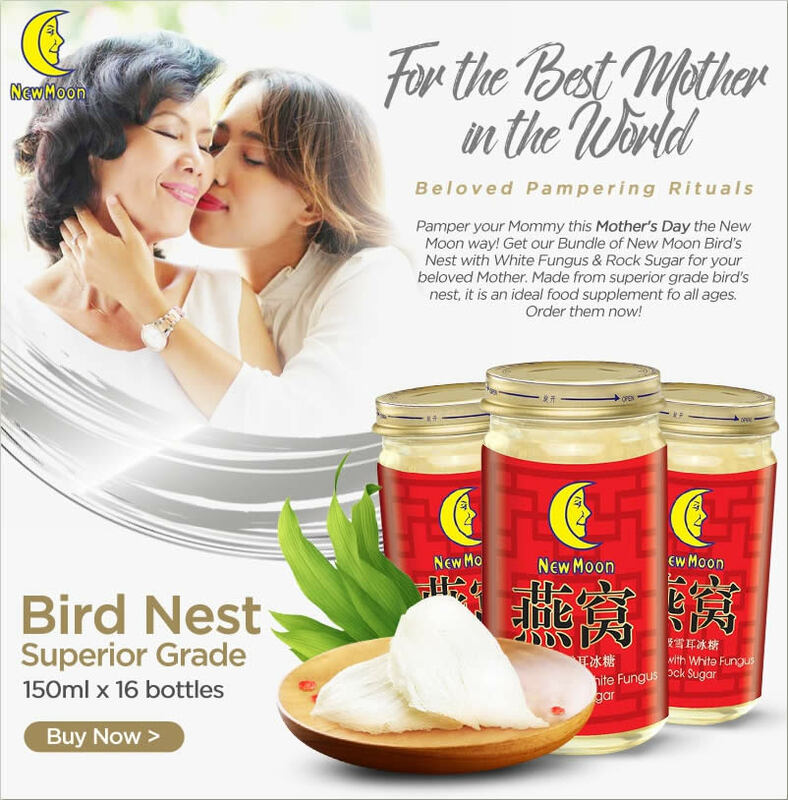 Carefully selected 100% genuine bird’s nest is balanced by the lush flavor of the finest white fungus and a hint of pure rock sugar. With a perfectly harmonious blend of premium ingredients, the result is a beloved staple in every pampering ritual. 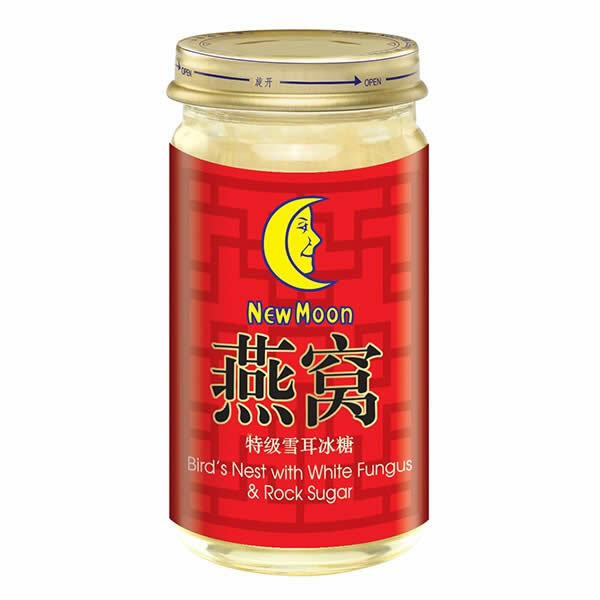 NEW MOON BIRD’S NEST WITH WHITE FUNGUS & ROCK SUAGR is made from superior grade bird’s nest. 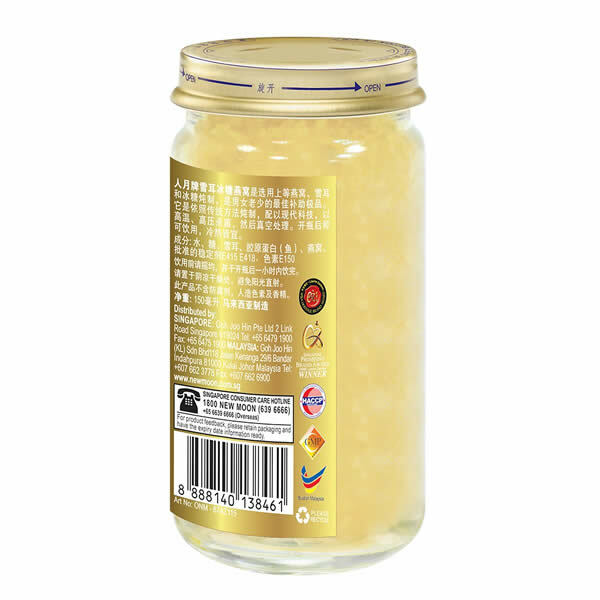 white fungus and rock sugar. It is an ideal food supplement fo all ages. 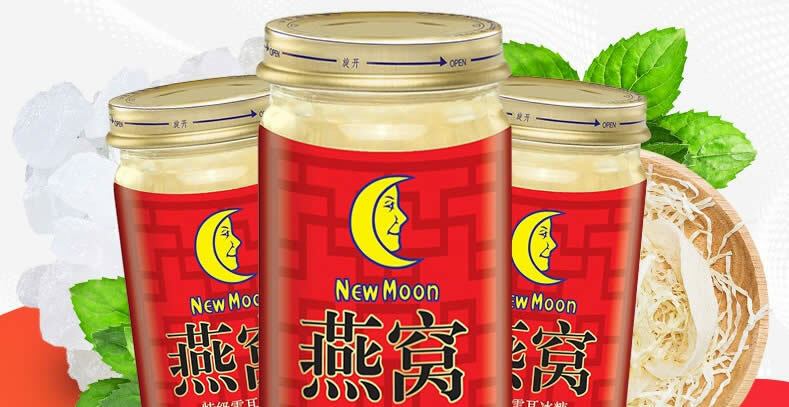 It is prepared according to traditional simmering process under modern and stirctly controlled methods. It can be consumed directly from the bottle, chilled or warmed, according to individual preference. 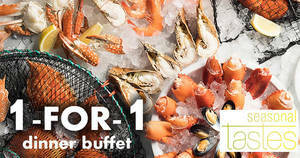 Ingredients: Water, Sugar, White Fungus, Collagen Peptide (Fish), Bird’s Next, Containing Permitted Stabilizers E415 E418, Premitted Colouring E150a as food conditioners. Shake well before drink. Please consume within 1 hour after opening the bottle. Store in a cool and dry place, away from direct sunlight.